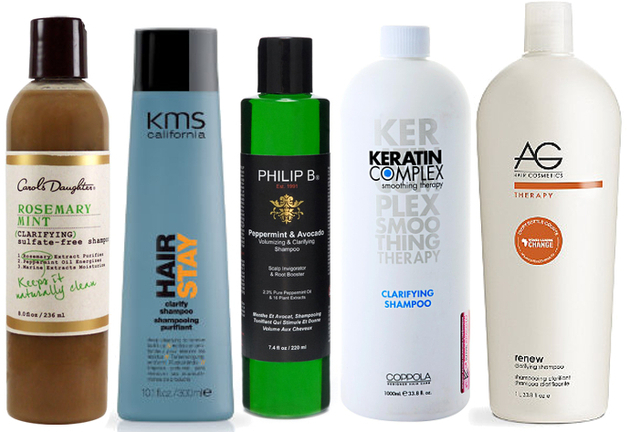 Best Clarifying Shampoos - Hair Detox Shampoos. 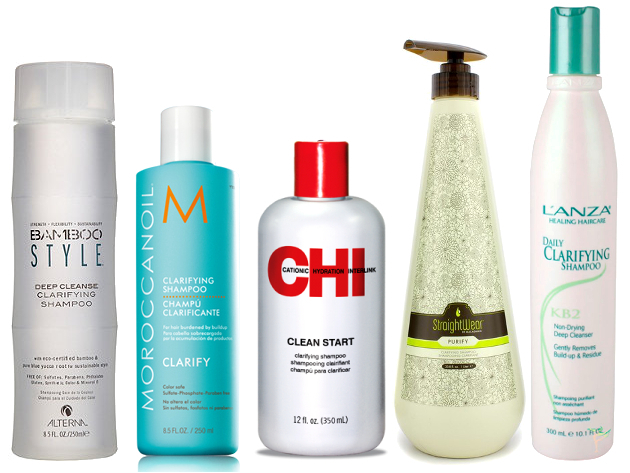 Get Squeaky Clean Hair: Best Clarifying Shampoos. Generally intended for weekly or bimonthly use, depending on how much your hair is exposed to styling products, chlorine, and hard water, a clarifying shampoo is the perfect way to remove build-up and restore shine to your dull hair. Some of the best clarifying shampoos are designed to be used before a smoothing therapy, but all of them are just as efficient on any type of hair, whether or not you’re getting your tresses chemically treated in any way, including coloring. Detoxify your hair with this clarifying shampoo, allowing it to shine once all the environmental impurities and product build-up is removed. The gentle formula of the Alterna Bamboo shampoo is free of parabens, sulfates, phthalates, synthetic color, sodium chloride, and gluten, restoring your hair’s radiance without stripping away your scalp’s natural oils. Definitely one of the best clarifying shampoos, this keratin-enriched formula is permanent color safe and free or harmful chemicals like sulfates, phosphates, and parabens. Combining the shine wonder than it argan oil with jojoba and lavender, the Moroccanoil clarifying shampoo cleanses your hair and scalp, while also restoring moisture balance. Using vitamins, ceramic and chelating agents, the CHI clarifying shampoo is a great way to prepare your hair for all chemical treatments, including coloring. Prime your hair with this special formula that removes styling product residues, along with any mineral build-up caused by washing your hair regularly with hard water. Removing both chlorine residue and buildup from minerals and styling products, this botanical blend of natural oils and citrus extracts is a great way to refresh your tresses before any kind of chemical treatment. Even if you’re not getting your hair treated, use it to fight environmental build-up on your hair and scalp. Mixing purifying herbal detoxifiers and KB2 (Keratin Bond System 2) in order to heal and refresh every hair, the Lanza Daily clarifying shampoo is non-drying and color safe. Unlike most similar products, this shampoo can be used daily, since it’s enriched with antioxidants (vitamins A, C and E) and its formula is mild. A sulfate-free formula and a mixture of peppermint oil, rosemary extract and marine extracts ensure that your hair won’t just be clean and refreshed, but also moisturized. Carol’s Daughter Rosemary Mint Clarifying Shampoo is one of the best clarifying shampoos since it leave your hair softer and shinier, while also giving it extra moisture. Gentle enough for daily use, this color-safe clarifying shampoo gets rids of chlorine, along with product build-up. While also soothing irritated or sensitive scalps, the KMS California Hair Stay Clarifying Shampoo is also a great way to purify your tresses after washing them with hard water. Acting as both a clarifying shampoo and a scalp treatment, this Philip. B volumizing and clarifying product restores shine and vitality thanks to its combination of 16 pure plant extracts and 11 carrier and essential oils. It’s safe for color-treated hair, and stimulates circulation in the scalp. It’s one of the best clarifying shampoos since it’s also keratin-treatment safe. Remove all dirt and build-up with this special formula that featured an advanced timed pH elevating technology. Get a deep cleanse for your hair with the Keratin Complex shampoo that gets your tresses ready for smoothing. One of the best clarifying shampoos for swimmers, this mild formula is designed to work without stripping color, and it’s also safe for extensions and synthetic hair. Removing mineral and product build-up is safe for any type of hair, since this clarifying shampoo is oil-free, gluten-free, paraben-free, and silicon-free.